Welcome to all our new members. Sometimes joining a guild can be overwhelming- old timers take for granted all of our activities and newbies are left to wonder! Quilt judging is usually done at Merrimac Library on a Wed, Carrie Zizza is coordinating. Members are required to give 2 hours of volunteer time either before or during show. Many opportunities abound! Quilt entry forms [found on blog] are to be sent in before March 31st. You can choose to have your quilt judged by a certified judge- $3:00 per quilt. Great chance to learn from a professional! Quilt Show ads: Members can gather an ad from a business for our booklet- can be any type of business, not just quilt related. Letter is on blog with info you will need. Publicity: Take a few bookmarks or posters- give to friends or hang in public places in your tow.- Available on back table during meetings. Penny Raffle Table: members donate a basket, bucket, tray etc filled with new items- either quilt related or not [tea, chocolate, gardening, teddy bear etc.] Kathy Pearse is coordinating. Silent Auction: Members donate a handmade article to be auctioned off during the show. 50% of proceeds goes to maker and 50% goes to Guild fund for a new loud speaker system. 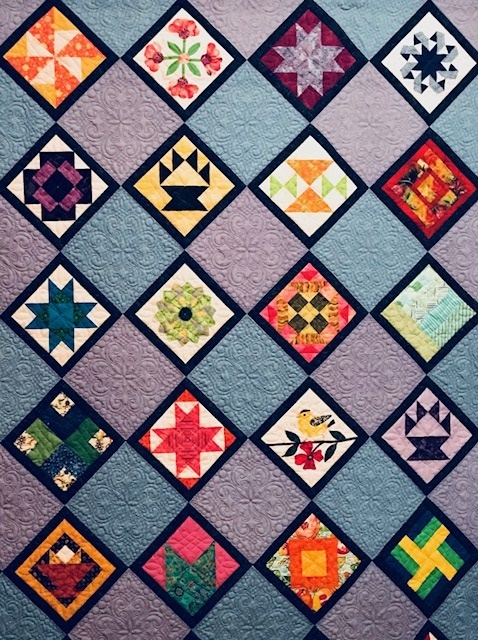 White Elephant: members bring in fabric [no upholstery], patterns, buttons, lace, unwanted tools or unfinished quilts- 100% of proceeds to the guild. Kitchen: Volunteers are needed to man – bake cookies to sell- donate bottled water and Diet Soda to sell. Deb Zukas is chair. Boutique: An opportunity for members to sell homemade articles,pins, bags, knit items, [quilts do not really sell], tools, books , patterns that are in excellent condition. 20% goes to guild- maker gets 80%. Maggie Judd, Pat Lucey chairs. Boutique form is on blog.